Kohea Kai Resort Maui, an adults-only resort announced today it is open and welcoming Maui visitors. The 26-room boutique property located in the heart of Kihei just steps from the beach, boasts ocean views, a rooftop lounge, outdoor pool, complimentary breakfast and a staffed 24-hour check-in reception. The name Kohea Kai translates to serene ocean side, serene shore, peaceful shore as well as abundantly relaxing sea in Hawaiian. The name was chosen to tell the story of the resort’s location near the ocean and outdoor serenity spaces where the elements of Hawaii can truly be enjoyed. Kohea Kai features 26 guest rooms including three spacious penthouse suites. Overlooking a five-mile stretch of beach and neighbor islands in the distance, the 1000 square-foot Oceanfront Penthouse features a private lanai (patio), indoor and outdoor hot tubs, a private master bedroom and bathroom, spacious living room with a plush, queen sized sofa sleeper, gourmet kitchen and dining areas. Guests can enjoy panoramic views from the Oceanview Penthouse, a luxurious 850 square-foot suite with views of Haleakala and the ocean. 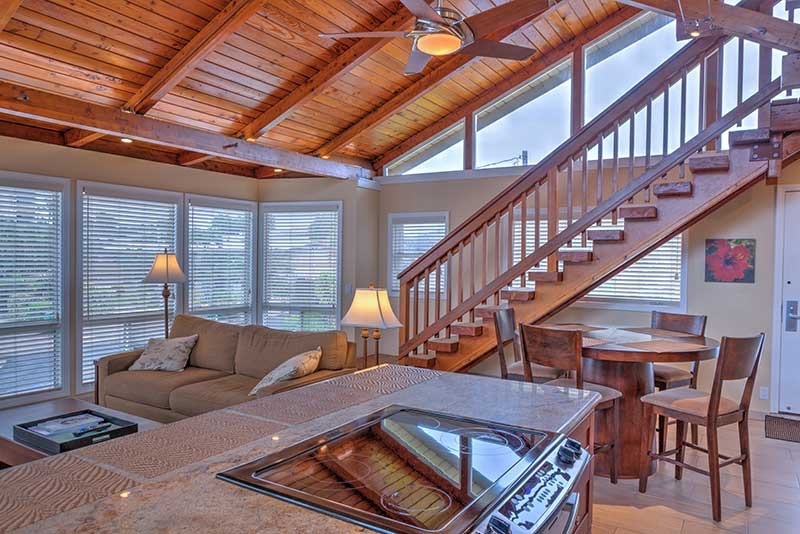 This two-story suite features a vaulted ceiling, a California King pillow-top bed, private lanai and spacious dining, living room and kitchen areas. The Pool View Penthouse boasts 1800 square-feet of luxurious open living space, a gourmet kitchen, indoor Jacuzzi, washer and dryer and two private lanais. This three-bedroom, two bath suite overlooks the pool and is perfect for entertaining friends. With views of the ocean, pool or lush gardens, Full and Junior Suites feature contemporary, island inspired décor, a 3D high-definition TV, California King pillow-top bed, private lanai and a full size kitchen. In addition, Full Suites have a separate bedroom and a plush queen sofa sleeper. Select Studios and standard rooms are also available with ocean views. Aside from its prime location and spacious accommodations, guests can enjoy a variety of amenities including complimentary breakfast buffet. 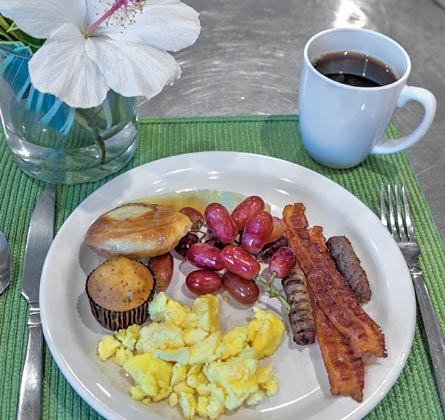 The resort offers a variety of breakfast options such as scrambled eggs, sausage, bacon, assorted bagels, muffins, grain cereals, fresh fruit, Maui Upcountry Coffee, Maui Rainbow Tea and local juice. For guests headed to the beach or a day of adventure, Kohea Kai offers grab and go locally made gourmet sandwiches, salads and pasta salads from Seascape Ma’alaea Restaurant for purchase, 24-hours a day. Hawaii made popsicles by Shaka Pops Maui are also available and make for the perfect on-the-go treat or poolside refresher. Nestled among lush greenery, the resort’s outdoor pool area offers a relaxing escape and a wonderful alternative to a beach day. Guests can relax on lounge chairs as they soak up the Maui sun and enjoy the island breeze. For those who want to take it all in, the resort’s open-air Rooftop Deck offers unobstructed ocean views. Guests can stretch out in lounge chairs and star gaze, enjoy a sunset or whale watch (whale season is mid-December to mid-April). This space is also available for private events upon request. As part of its commitment to providing value to the guest experience, Kohea Kai does not charge a resort fee. “Our goal is for our guests to enjoy comfortable accommodations and modern amenities without the sticker shock of additional charges,” added Waddell. The resort offers free parking, a convenient 24-hour check-in, complimentary use of beach coolers, chairs and umbrellas, complimentary breakfast buffet, free Wi-Fi, 3D HD flat panel TVs, DISH network satellite, coffee makers and air conditioning. 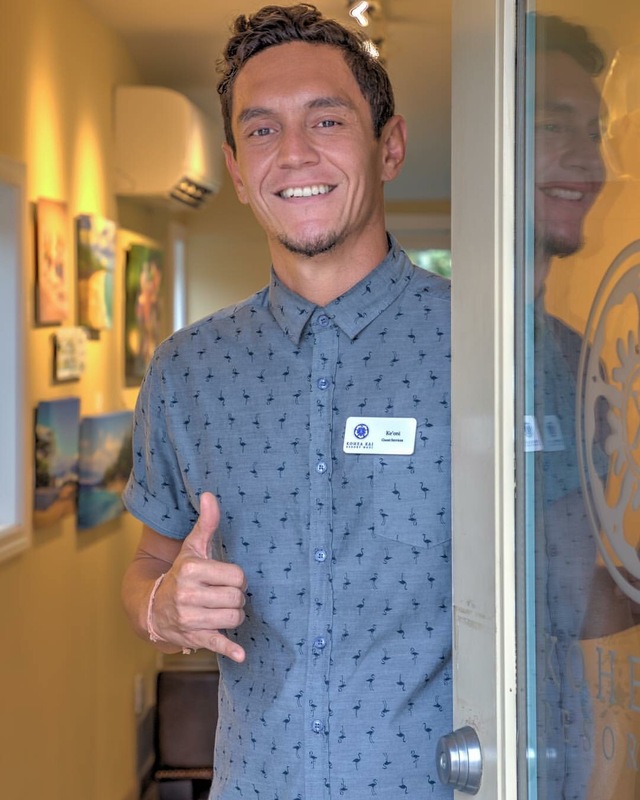 Under the leadership of General Manager Michael Waddell who brings 12 years of hospitality experience to Kohea Kai, the resort ensures excellent customer service is delivered with Aloha to each and every guest. To book or for more information, visit Kohea Kai Resort Maui online at http://www.koheakai.com or call 808-879-1261. Kohea Kai Resort Maui is the island’s newest adults-only boutique resort. Located in the heart of South Maui just steps from a five-mile stretch of beach, Kohea Kai is a tranquil vacation destination for visitors seeking the excitement of Maui dining, shopping and recreation activities. The resort features 26 guest rooms including three penthouse suites and offers modern amenities such as 3D high definition TVs, complimentary breakfast, outdoor pool, open-air rooftop deck, a staffed 24-hour reception check-in and free Wi-Fi throughout. For more information, visit http://www.koheakai.com or call 808-879-1261.For Maui vacation inspiration follow Kohea Kai on Facebook, Instagram and Twitter (@koheakairesort).